While we’re all for creating art for Hubs, we also advocate creating Hubs for art! TheRaggedEdge does this quite well, guiding readers through some beautiful mixed media projects in her craft-oriented Hub. Read on for some ideas on working your existing art into your HubPages portfolio! Though you have an interest in many things, one of those interests is mixed media art, and your art crops up in many of your art-centric Hubs. Do you ever use it as added imagery in Hubs on other subjects? I haven’t much yet, but if I can, I will. I have recently written one on Fabric Scrap Projects and have included some mixed media images in it. Your question has inspired me to go through my Hubs to see if any of them would benefit from some artwork. For how long have you been creating art? 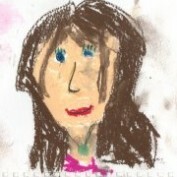 Since I could hold a crayon! I did lots of art in school, completed a few courses, and have played with watercolor and watercolor pencil all my adult life, but was almost always disappointed with the results. 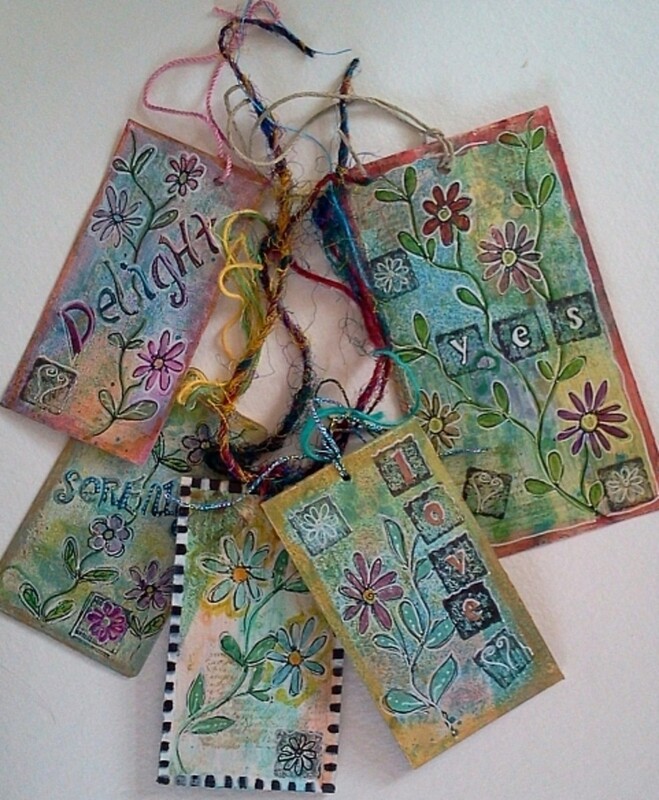 When I discovered art journals and mixed media, I realised you can make art without having to be talented at drawing or painting. Nowadays, I don’t feel right unless I have created something almost daily, even if it’s simply spending a few minutes sploshing paint on paper to make backgrounds for future projects. I’d say that I do some kind of art or craft project five days out of seven. Do you know of any other writers who bolster their work with images of three dimensional art? Do you think that it makes a difference in making the articles more engaging or authentic? There are several on HP. One I like is Laura Thykeston – her hubs are inspirational. Yes, it makes a huge difference if the writer uses their own work. It shows them to be authoritative, if you like. Many people who write about making art use other people’s images, which, to me, isn’t quite the same. How can you write about it authentically if you haven’t actually done it? Does creating art- even art that you’re not Hubbing about- ever help you think through problems or give you ideas for new Hubs? Absolutely. I am most relaxed when creating my mixed media ‘doodle paintings’, or when mindlessly painting fur on a cat rock – all kinds of ideas waft through my consciousness. I have to write them down right there and then though, or they disappear – like soap bubbles. In which cases do you think it is a good idea to incorporate images or scans of mixed media work into one’s Hubs? What tips would you offer to those who are interested in doing so? I think if the piece of art is remotely relevant to the Hub content, then go ahead, include it! Readers love images and they are the perfect way to illustrate, enliven and break up any hub. Even ‘slices’ of rough sketches and doodles can be used as borders between blocks of text. If they are your own work, then it’s another way of adding to your online brand. First tip is: go make some mixed media art! Anyone can have a lot of fun with collage, glue, paint and pens. You could surprise yourself. Secondly, and probably most importantly, if you want to include original images, be it art, craft or anything else, take photos or scans of every single thing you make. You never know when an image that you took months or years earlier will be perfect for a future Hub. That goes for all creativity, whether it be knitting, cooking or house painting. Always have a camera to hand.